Last week Kate and I went up to Portland's Keller Auditorium to experience the Broadway show, Wicked. And believe you me, it's as good as people tell you it is! If you don't know much about Wicked (which I did not), it tells the backstory of some of the characters from The Wizard of Oz. The story focuses on the Wicked Witch and Glinda the Good Witch. We learn that these two, before becoming witches, met one another as young girls at school. And they could not be more different from each other, and yet they develop a relationship that blooms into a friendship. Elphaba (the Wicked Witch) is a social pariah. People strive to stay away from her. Glinda is the most popular girl in school. People strive to be in her company. Elphaba's skin is a strange shade of green. The only one in her school. Glinda's skin is perfect and white. Just like every one else in school, but better. Elphaba is super smart. Glinda is... well... super pretty. Elphaba comes from a life where she grew up being despised by her father. Glinda was the prize jewel of her family. Elphaba grew up with the primary responsibility to serve her sister's every need. Glinda grew up where people served her every need. I could go on and on. But it is clear that these two are dissimilar in just about every way. If you were to imagine the opposite of one, you'd picture the other. And that's precisely what they were: the OTHER. The show was ripe with brilliant music, but my favorite came towards the end. During the climactic moment, when it looked like Elphaba's doom was just around the corner, Glenda and Elphaba share a moment together and sing the song "For Good." Both witches came to this place of realization that their lives had been greatly affected by each other. That they both believe they are now better people because of their friendship. That they have been changed for the better because they know one another. And isn't that one of the most beautiful things that happens when we engage with the OTHER? When we step outside of what's "normal" to us. When we intentionally seek out those who are different from us. When we move towards the other. As much as some of you would prefer there to be a Bible verse that says, "and God declares it good that you shall move toward the other" (preferably by Paul, but we'd take it if it were Jesus), nothing really comes to mind. But what DOES come to mind is, I believe, even better. Rather than Jesus just TELLING us that there is value in moving toward the other, he SHOWS us. We see in Jesus what the Way of Love looks like, and it involves (in part) our willingness to seek out those who are different from us. But not so that we can change THEM, not with some ulterior motive or agenda, but because something beautiful emerges when two people who are so very different from each other learn to see each other as something more than just a label or a stereotype. When they are no longer the "them," or "those people." When we move toward the other, we make an effort to tear down the superficial walls that separate us and we open ourselves up to learn so much about who they are, what makes them tick, why they are so different... and in turn, we learn that much more about ourselves. 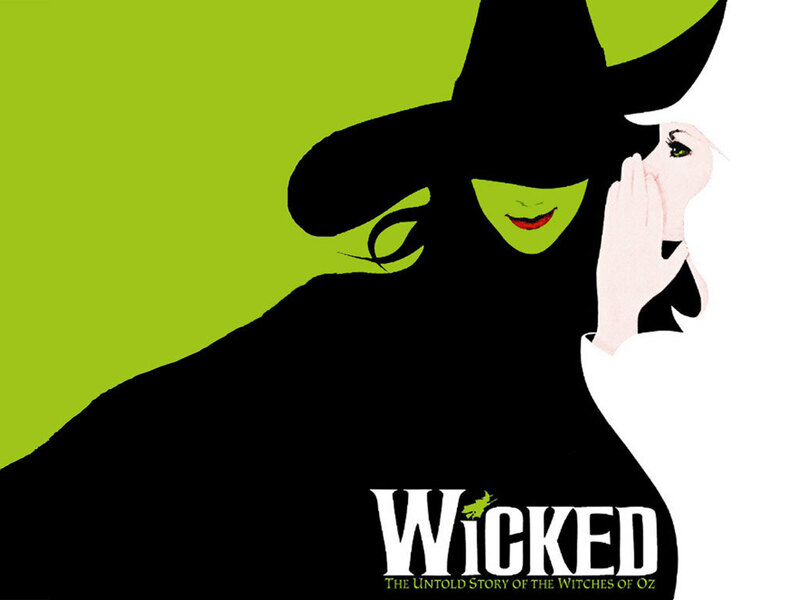 Wicked tells the story of two people who couldn't be more different from each other, and yet the closer they moved toward one another the more changed they both become FOR THE GOOD. Democrats, move toward Republicans and see them for who they are. Whites, move towards Latinos and Asians. Straights, move towards a gay person. Young people, move towards an older person. Rich, move towards the poor. Healthy, move towards the sick. You will be changed for the better. I promise you.